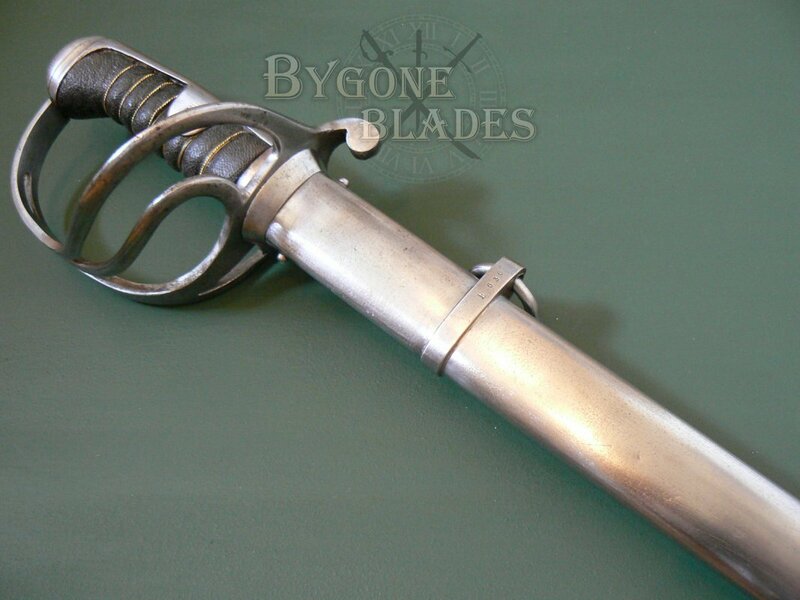 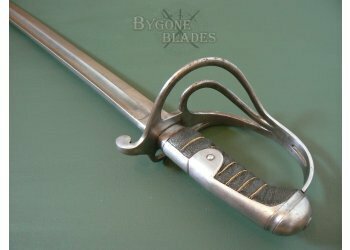 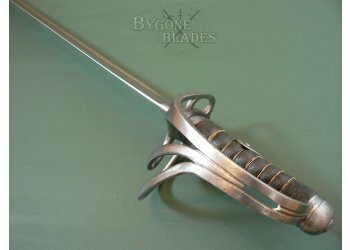 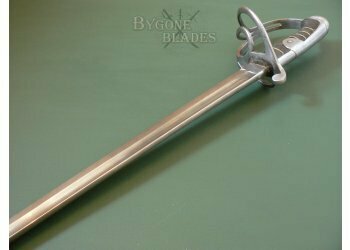 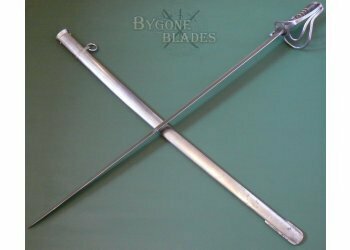 19th Century British P1821 Light Cavalry sabre in fantastic condition. 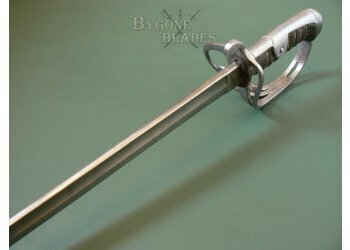 The 865mm blade is clean and bright with only a few speckles of tarnish towards the point. 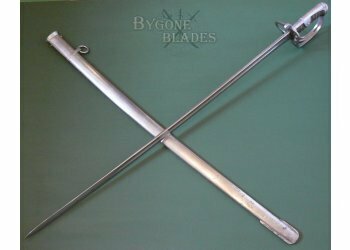 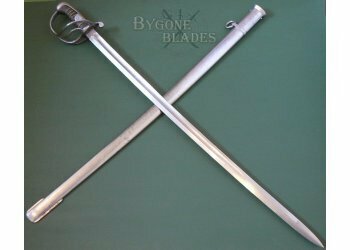 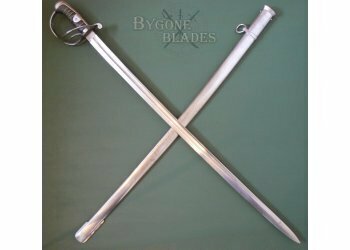 The single edged, slightly curved blade has a single, wide fuller on both sides. 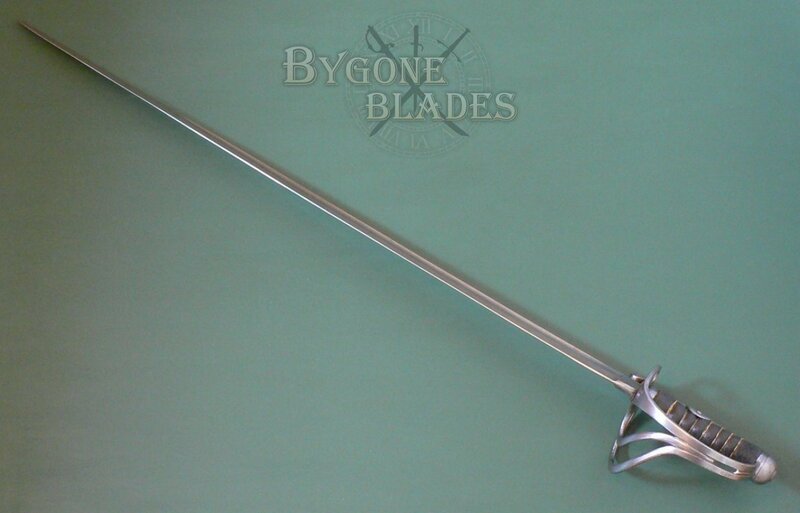 The rounded spine terminates in a spear point. 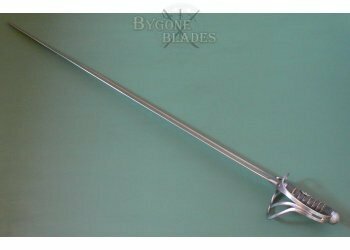 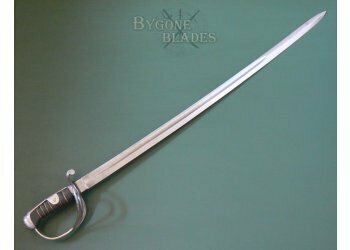 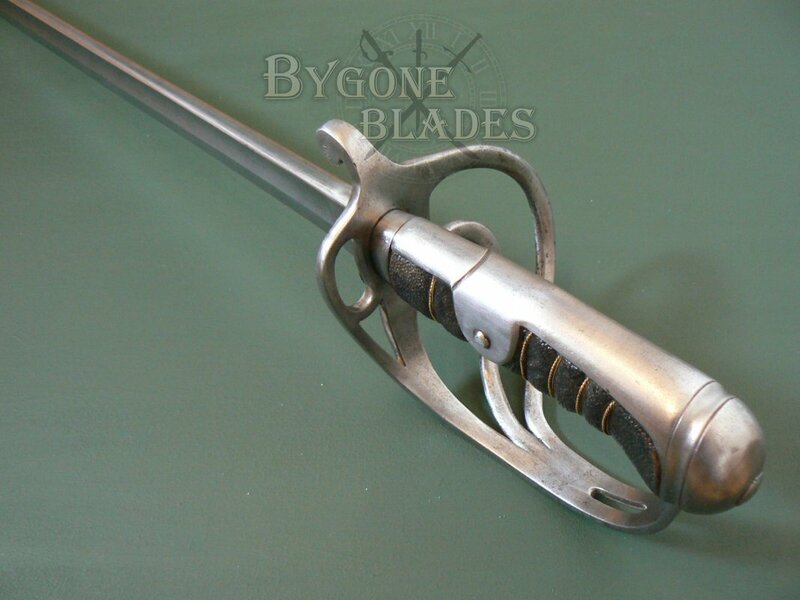 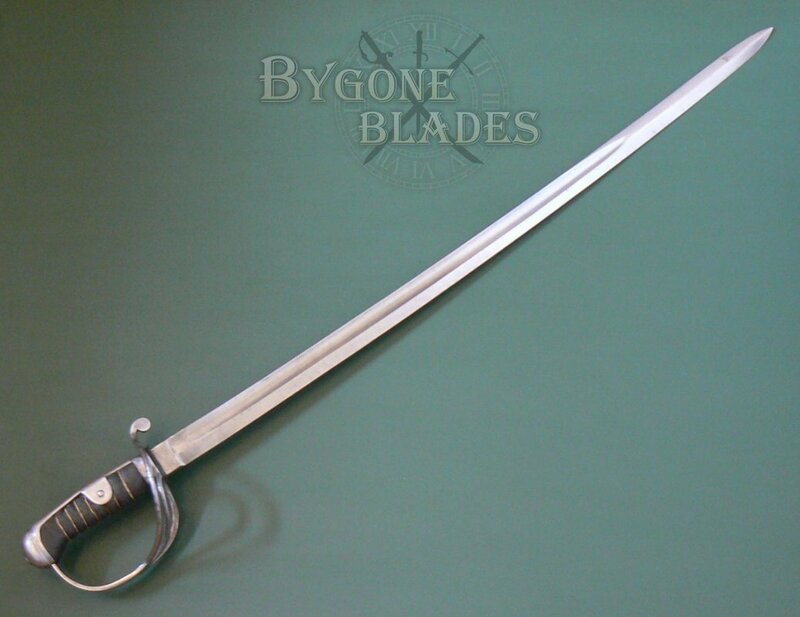 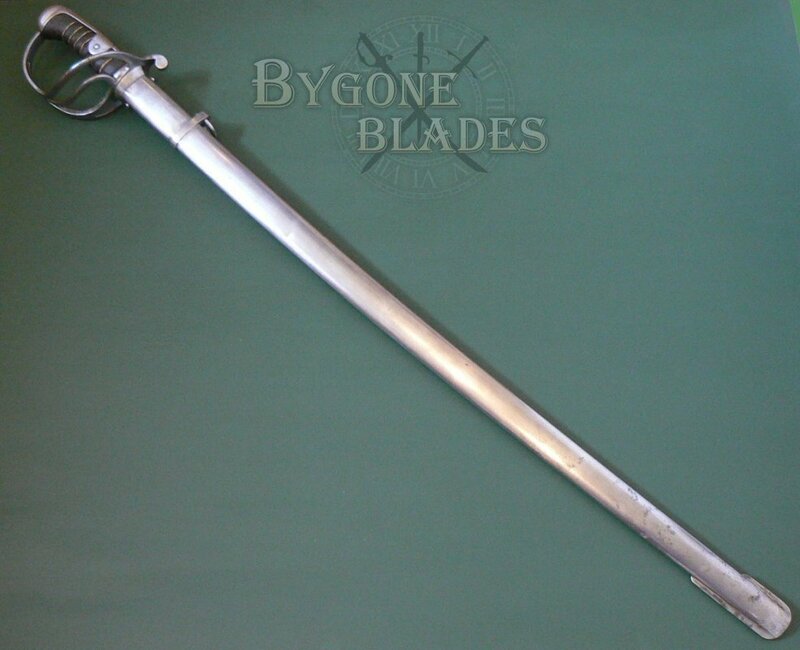 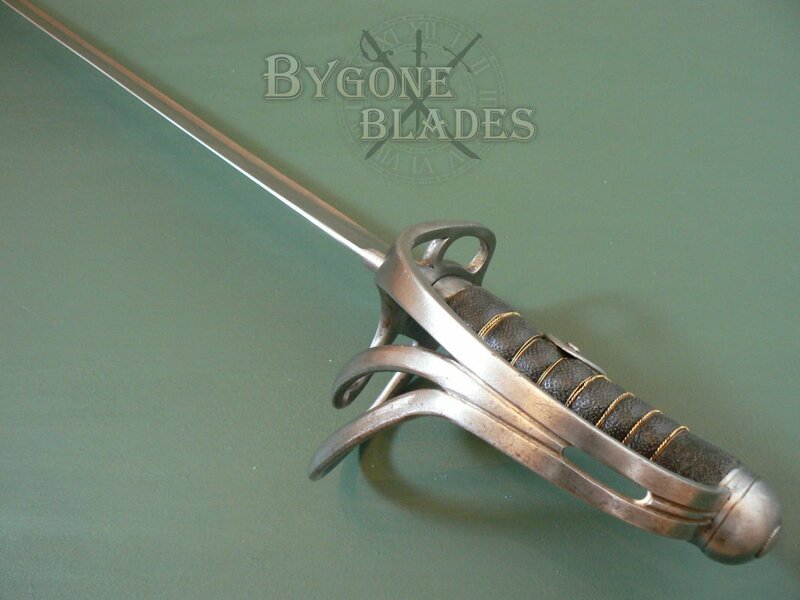 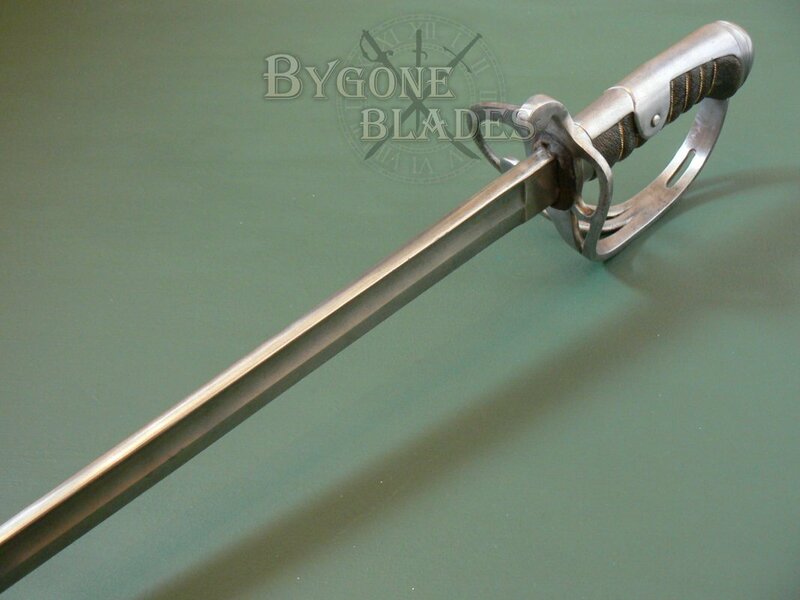 The blade is of good fighting weight, the spine being 9mm thick and the ricasso, 33mm wide. 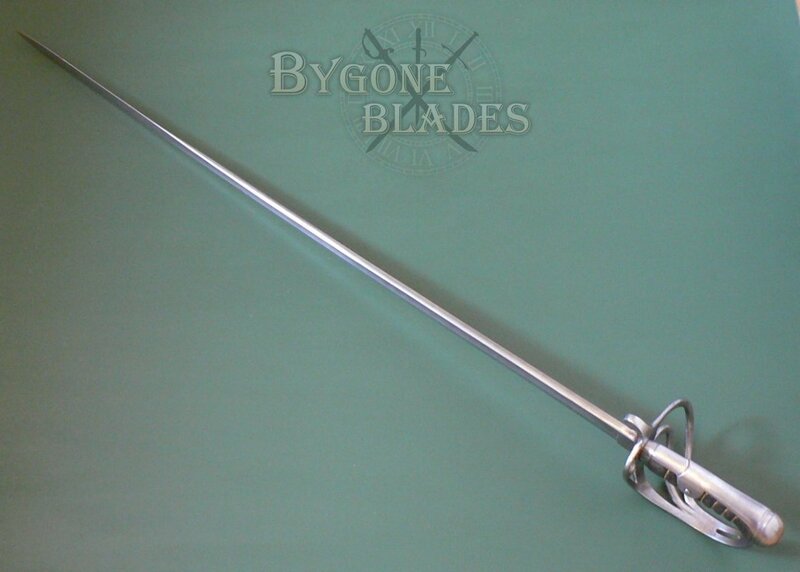 The steel 3-bar guard is bright with minimal age related marks and scratches. 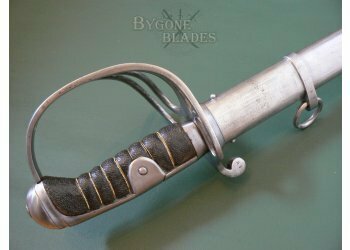 The rearward facing quillon is stamped “A E.” The shagreen grip is in good condition and the wire binding remains mostly intact. 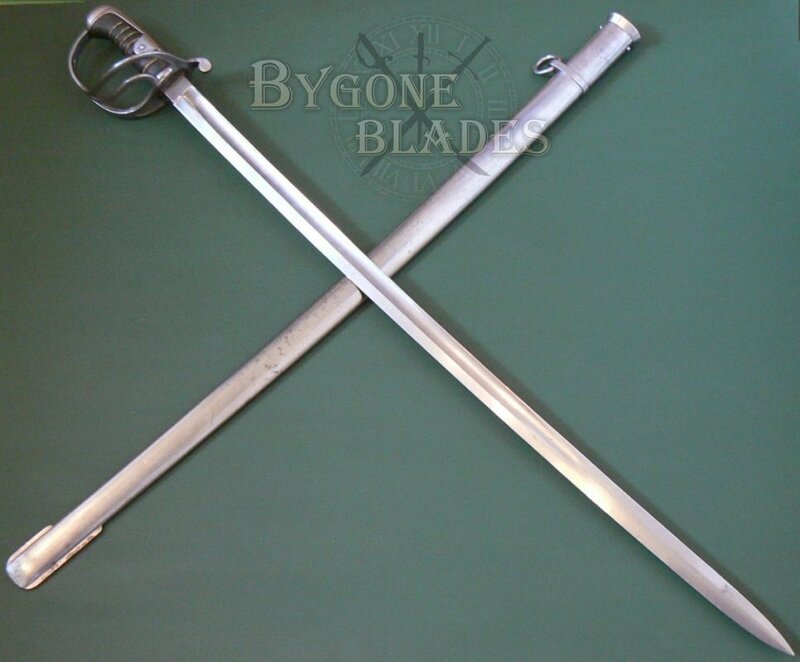 There is slight movement in the guard, probably due to shrinkage of the wooden grip. 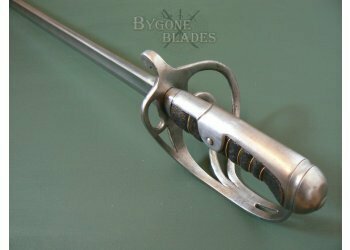 The blade is firm in the hilt. 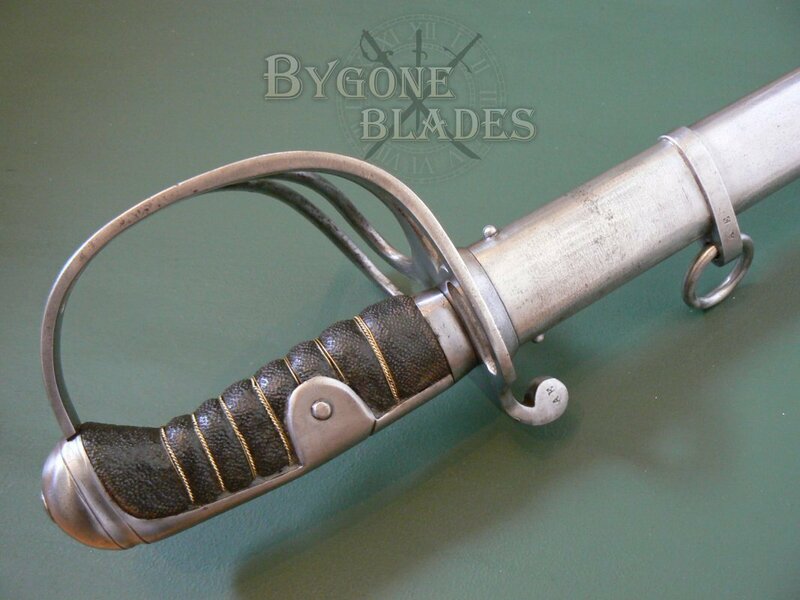 The steel scabbard is in excellent condition. The scabbard ring mount is stamped “A E” on one side and “E636” on the other. 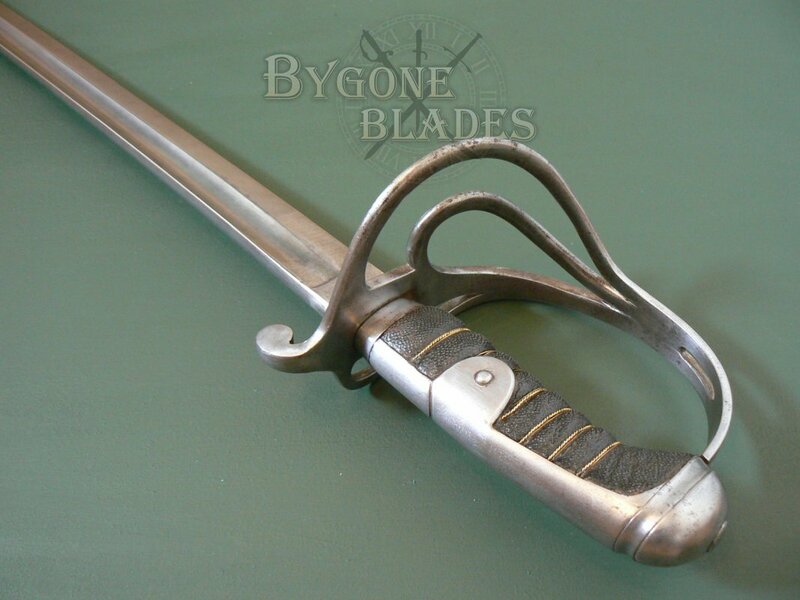 The scabbard has a few small areas of tarnish on the bottom half. 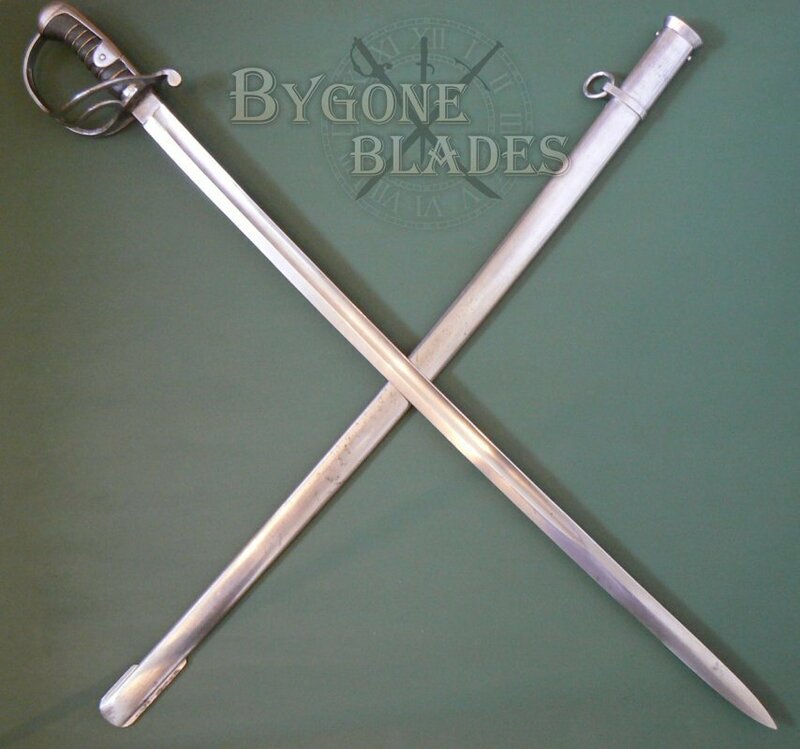 The sabre sheaths and draws perfectly and is held tightly without rattle or play. 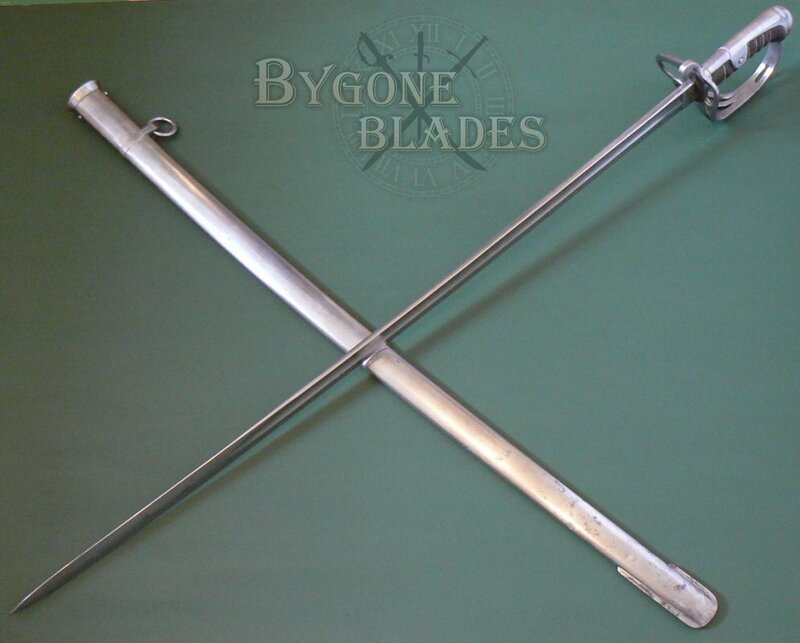 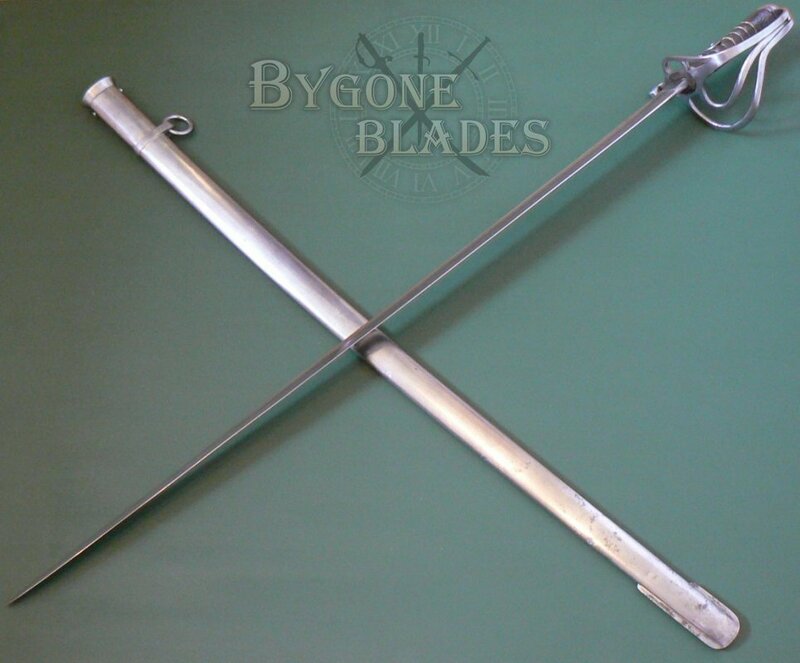 The lack of a British War Department ownership arrow and other such marks suggests that this sabre was intended for export. 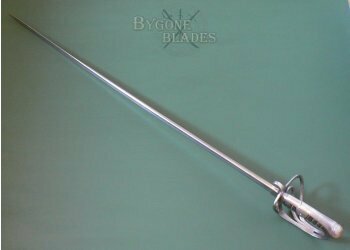 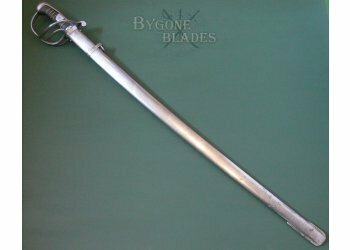 I believe that this sword was made in England for export to one of the European countries that also used this pattern of cavalry sabre. The sword’s maker was probably Reeves, and the “A E” stamps could be Portuguese.